Last year I flew from Austin to Memphis, with a connection in Houston, the day after Thanksgiving. I braced for the worst airport conditions. Flights were full, and the airport was full of people who only fly once or twice a year. But I had solace. My United℠ Explorer Card comes with 2 annual passes to the United airline lounge, and priority boarding so I wouldn’t have to compete for overhead space. On this day, those perks turned what could’ve been stressful into a manageable – and even fun – experience. And through May 16, 2019, you can earn up to 60,000 United Airlines miles after meeting tiered minimum spending requirements on the Chase United Explorer card. Here’s why I’ll keep the card forever! There’s a $95 annual fee, but it’s waived the first year. So you can enjoy the perks free for ~11 months to decide if you like it. I’ve had this card for years with no plans to cancel. That’s because I get more from the benefits than the cost of the annual fee. Here’s our full review of the Chase United Explorer card. Not gonna lie, I was slightly terrified to fly during Thanksgiving weekend. Sure enough, both my flights didn’t have a single empty seat and the airport was a zoo. I hadn’t flown United Airlines for ~4 years, or been to a United Club in as long. I worried the lounge at the Austin airport would be packed. So I allowed extra time for security and finding my gate just in case. But I passed through TSA PreCheck within minutes and found the United Club was right across from where I’d board. 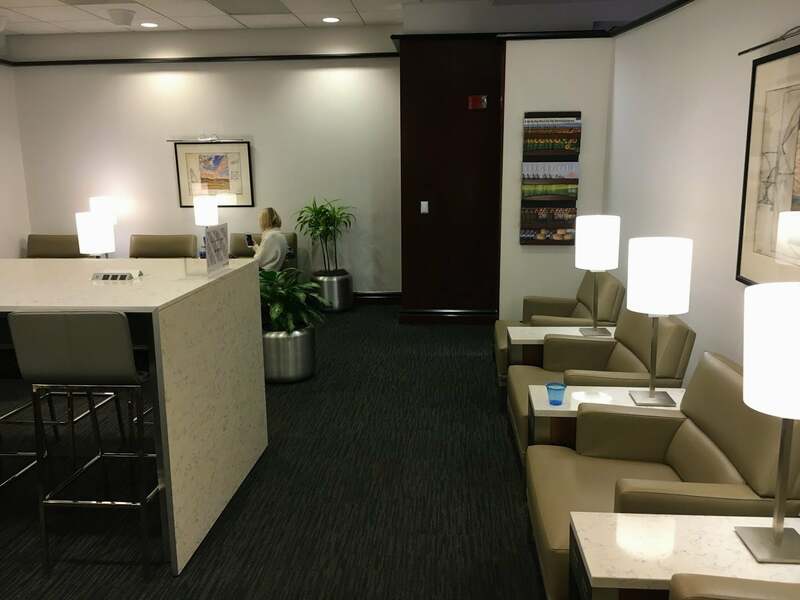 Not only was the United Club NOT crowded at all, but I had plenty of time to relax and enjoy the amenities. I had my pick of seats spread over several areas. I loved how nearly every seat had access to its own outlet! I settled into a table near the bar after the bartender engaged me in conversation. She poured me up a beverage and asked where I was headed. We chatted for a while, then I went to explore the food offerings. There were snacks including fresh fruit, trail mix, hummus, veggies, and soup. No full meals, but I snacked to my heart’s content before my flight. As I ate, the bartender brought me drink refills. I charged my computer and phone with the outlet near my seat and sent a few emails over the blazing fast Wi-Fi. Day passes usually cost $59 each to access one of 45+ lounge locations. But when you have the Chase United Explorer card, you’ll find 2 passes loaded to your account upon card opening, then every year you renew the card. I was able to access them through the United Airlines app, along with my digital boarding passes. If you use both lounge passes every year, this alone can completely cover the card’s annual fee. Plus, you get other perks like free checked bags and access to more United Airlines award seats. I had 3 drinks, food, and got to be away from the airport busyness, so I definitely got my money’s worth. There was also a business center at this location, with printers, phones, and computers. When it came time to board, I peeled myself out of the lounge and lined up at the gate. I got to board with Group 2, and easily found a spot for my carry-on over my seat. 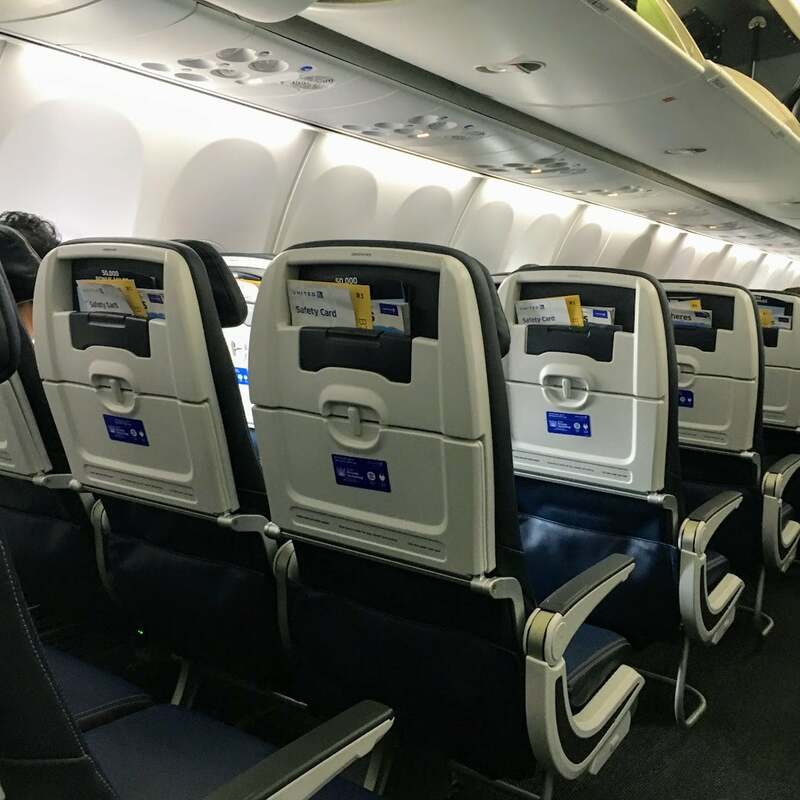 Not having to stand in line or worry about stowing luggage was a huge relief on these completely full flights. I sat and worked on Sudoku puzzles while everyone else boarded. If you’re a big United Airlines flyer, you might consider the United MileagePlus® Club Card instead. 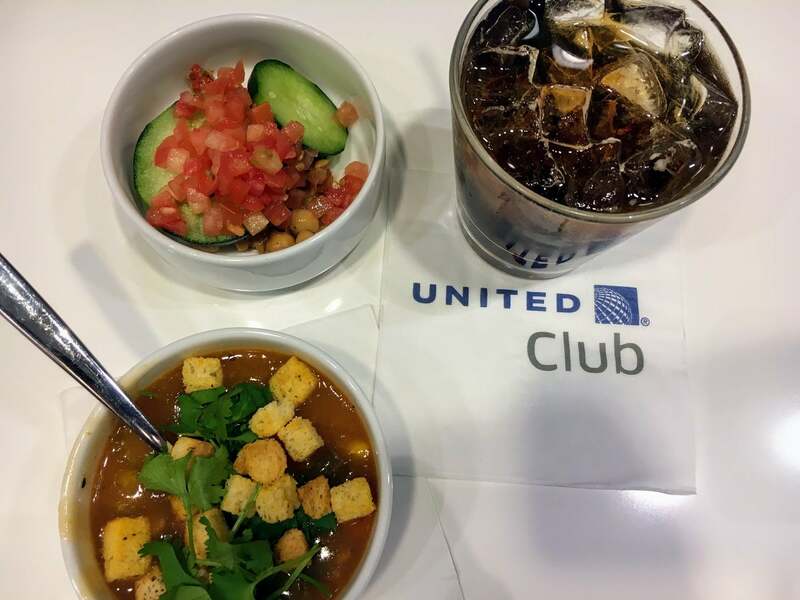 It has a higher $450 annual fee but gets you full, unlimited access to United Club lounges. 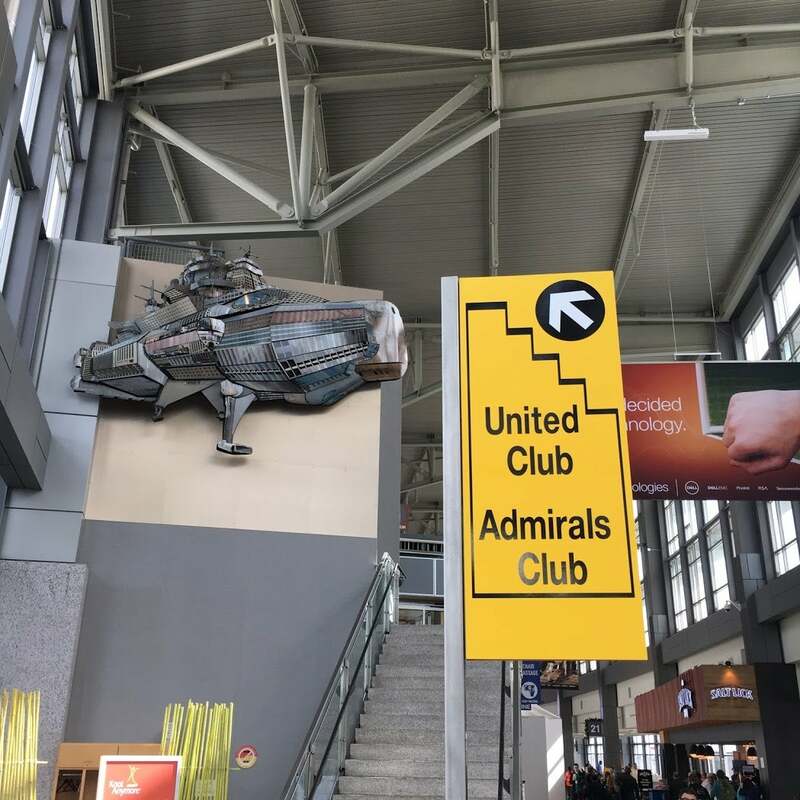 Keep in mind, you’ll have to fly United Airlines or one of its partners to enter the lounges starting November 1, 2019. But until then, you can be flying any airline. Without the United airline lounge and early boarding, I would’ve sat at the gate in the noisy airport and prayed to get my carry-on in the overhead bins instead of gate-checking it. But having the Chase United Explorer card got me lounge access and quicker boarding – and that alone makes it worth keeping long term. You can apply for the Chase United Explorer card here. You are better off throwing those passes un the trash and going to a restaurant at IAH. The ua clubs there are soup kitchen trash. I believe this card also has primary automobile insurance for car rentals. That’s a huge plus. Please correct me if I’m wrong. I don’t get it. December 1st MMS article by Scott Lieberman says that United Airlines and Chase need to step up their credit card. You, on the other hand proclaim that this card is the greatest invention since sliced bread. Which one is it? By the way, I too have the card but will cancel at time of renewal for the inability to redeem my lounge coupons as others have said. Lol, I guess we see this card differently. I never check bags so the checked baggage benefit is worthless to me. And I earn Chase Ultimate Rewards points and send them to travel partners- including United – so the earning rates don’t affect me either. What I value is more award seats and bonus miles with Mileage Plus X. Sorry to hear you had trouble using your lounge passes. 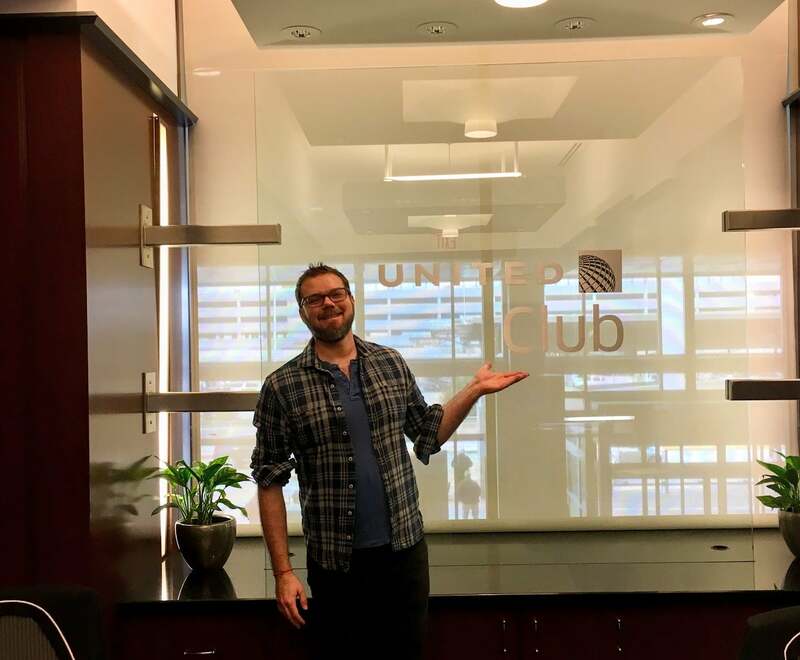 They let me right in when I visited the United Club in Austin. And until November 1, 2019, you can enter when flying airline so I’ll definitely make good use of them. This – and any – card is only valuable if you can use the perks. If you can’t, or don’t like them, there are many many others to choose from. I’m glad I got this one long before 5/24 was a thing. Oh, I use my Priority Pass all the time. I’m not a big United flyer so 2X per year is fine for me. If you pair this card with the Chase Sapphire Reserve, you get 3X points on travel and dining, then you can transfer them to United and get more award seats. The lounge passes are simply a nice extra. And you can fly any airline to access United Clubs until November 1, 2019. Always good to have a backup option! Thanks, I’m new to this website and very impressed by your quick response! I fly primarily with United due to my status and spend about $5k a month on the card.. any feeling as to which card might be best for me? 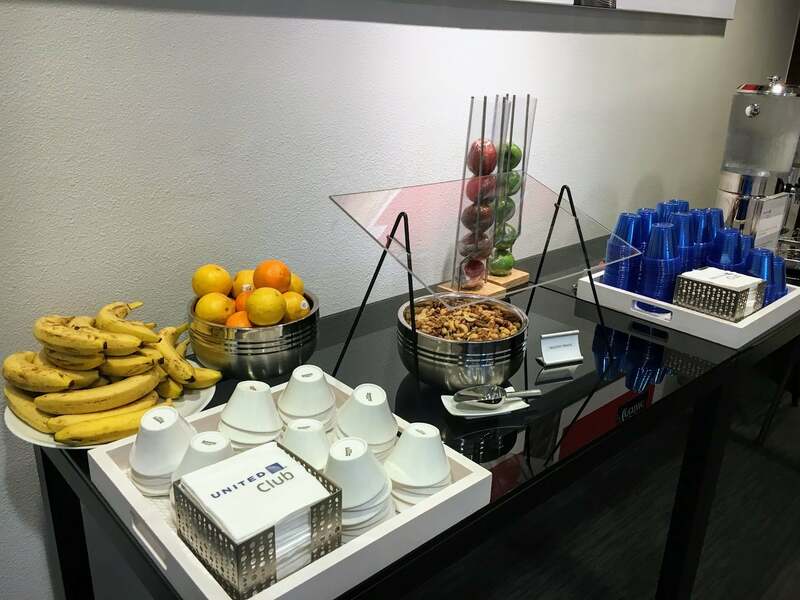 If you’re a big United flyer, you might consider the United Club card. It’s got a big annual fee ($450) but comes with a United Club membership. Worthless! Why would anyone get this card with just two passes to a small set of lounges? Get any of the cards with Priority Pass instead! What worthless marketing drivel this article is. Is there a Priority Pass card that doesn’t have an insane yearly fee? $450 is pretty common from what I’ve seen and that just seems insane. The AMEX Hilton Ascend card comes with 10 Priority Pass visits per year and has a $95 annual fee. But if you want unlimited visits, you’ll likely have to get a premium card with a big annual fee. You’re right, I wouldn’t get this card just for the lounge passes. 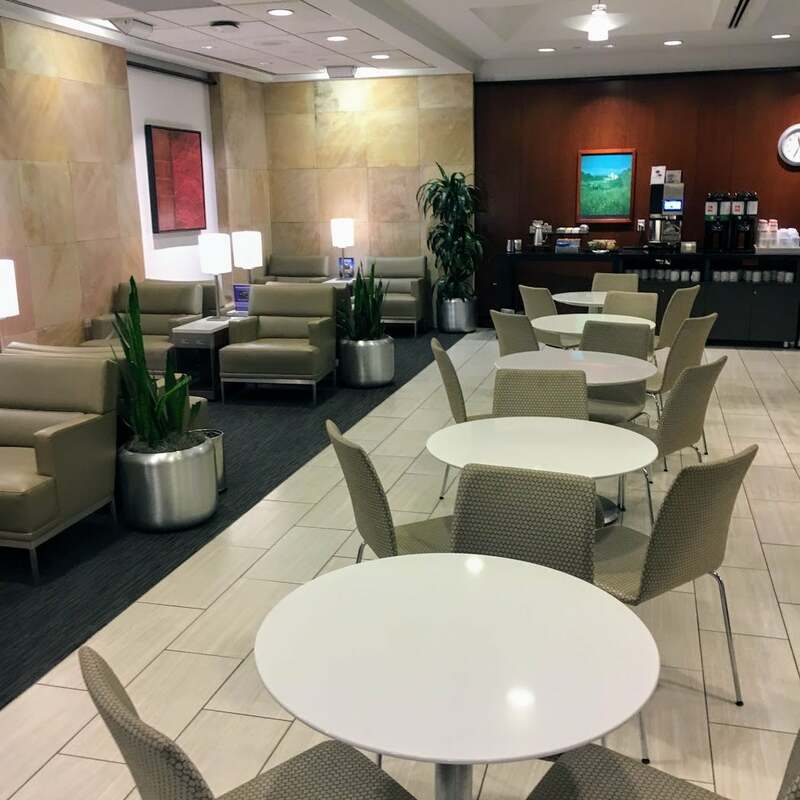 When combined with other perks like extra award seats, priority boarding, $100 Global Entry credit, and 25% bonus miles for Mileage Plus X purchases, the lounge passes making the card worth keeping long-term. My current airport only has 2 lounges – one is a United Club – so I can definitely make good use of the lounge day passes.